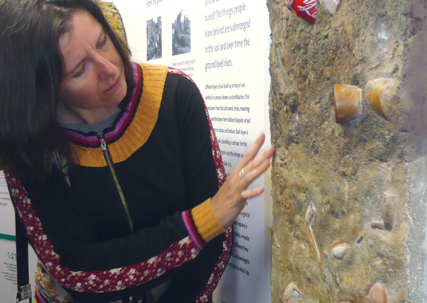 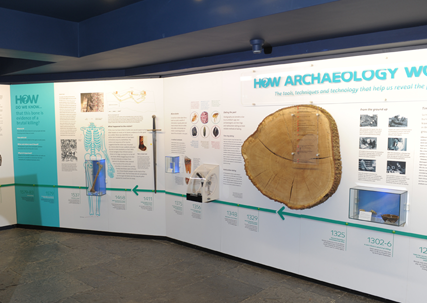 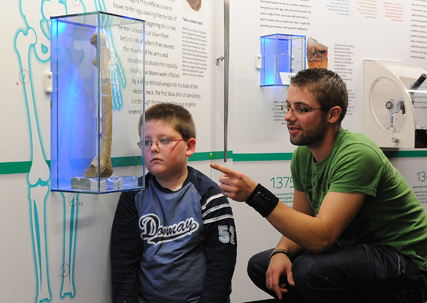 Our Archaeology Hall is dedicated to explaining how the past is revealed using the tools, techniques and technology available to the archaeologist. 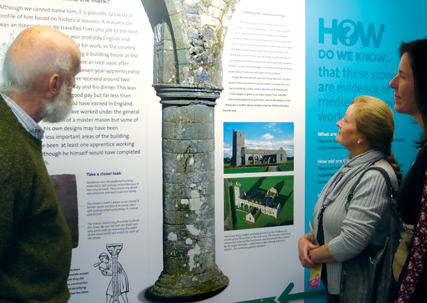 From spade work to laboratory experiments, the fascinating detective work is revealed side by side with some of the more interesting medieval artefacts uncovered during the excavation of the site of Tralee’s Dominican Priory. 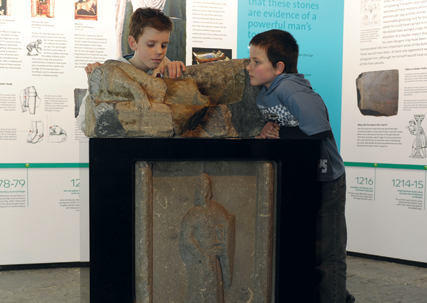 Stone pieces (circa late 1200s – early 1300s) – Carved limestone fragments from the top and side of a knight’s tomb. 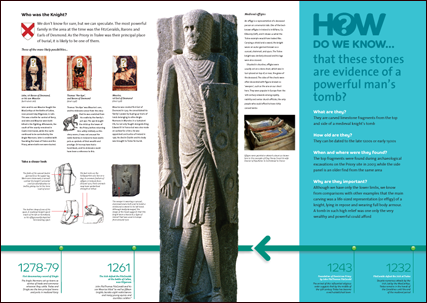 A tomb in such high relief was one only the very wealthy could afford and it’s interesting to speculate if it was sculpted for one of the Earls of Desmond? 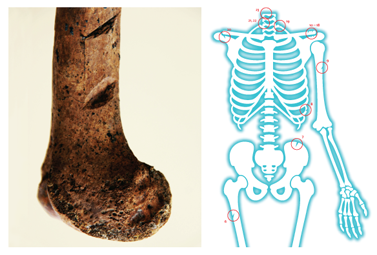 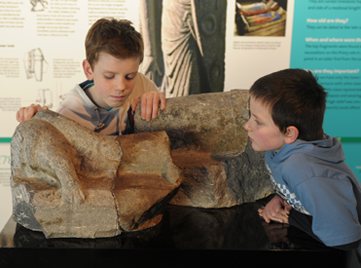 Femur bone (circa late 1400s – early 1500s) – A fascinating display that outlines how archaeologists studying a skeleton uncovered during the excavation of the site of Tralee’s medieval priory came to the conclusion that all the evidence points to the brutal killing of a young man. 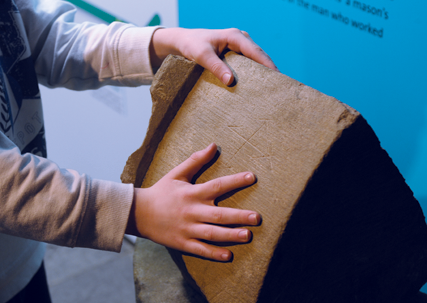 Mason’s mark (circa mid-1200s) – Symbol carved on a block of hand-cut sandstone that made up part of a supporting column from the church of the medieval priory in Tralee. 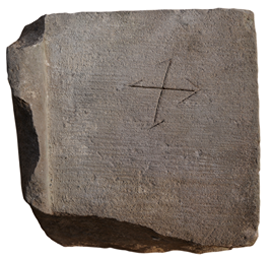 The mark is thought to be the signature of the man who worked on that stone. 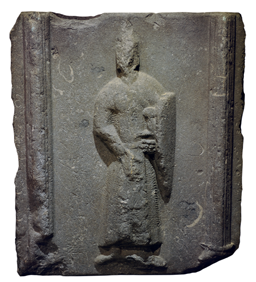 ‘Weeper’ figure replete with chainmail, sword and shield, formed part of the side of a tomb. 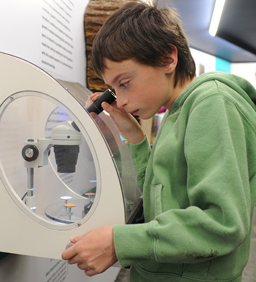 Examining the archaeological evidence under a microscope. 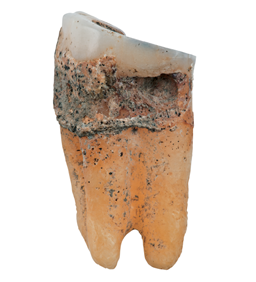 A 1,000-year-old tooth that once belonged to a Viking with a rough diet, possible gum disease, and a painful toothache.